Throughout the day we will demonstrate how a REL can improve your system – be it two channel or multi channel home cinema. Find REL amongst well known Industry brand names to show how REL can truly enhance the whole soundstage. As we always like to point out it’s not all about Bass! 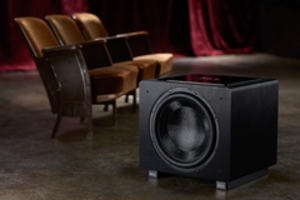 However – if BASS is important to you, then don’t miss out on listening to the HT/1508 Predator. A 15 inch driver backed by an 800 watt amplifier to show you what LFE can really do in a well appointed system, whatever the price. Come in and talk to us for advice on which model may suit your needs and how best to tie it into your system. The HT/1003 (AV Forums Sub of the year) will also be on show, and backed by a very special limited show discount.